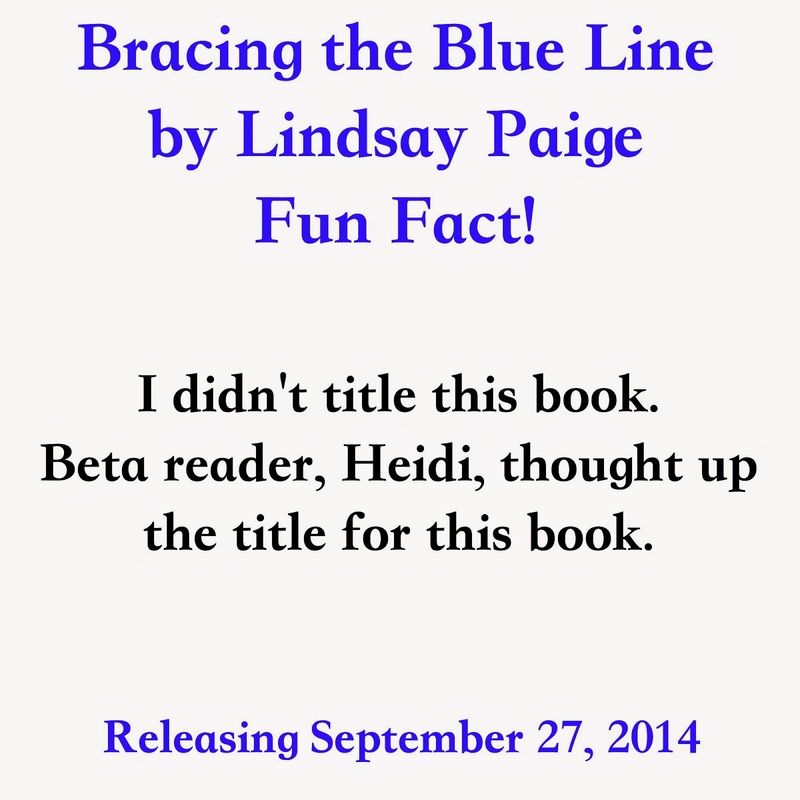 Yesterday, I shared the first fun fact and now, I'm back to share another! Titling books keeps getting harder and harder, I’m sure of it. Having 3 POVs in this book seemed to add an extra complication, in my eyes anyway. When I was trying to think of a title that was fitting for the overall story, and each story individually, it was impossible. I didn’t like anything I came up with. So, I seeked help. I asked a few people who had read it for their ideas and one of those people was a beta reader of mine. Heidi is a pretty amazing person, and I loved her even more when she sent me a list of possible titles. One of those was Bracing the Blue Line. Thank you so much, Heidi, because without you, I’m positive I would still be tossing title ideas around. You’re one of the best!